THE RISING HORDE Has Arrived! 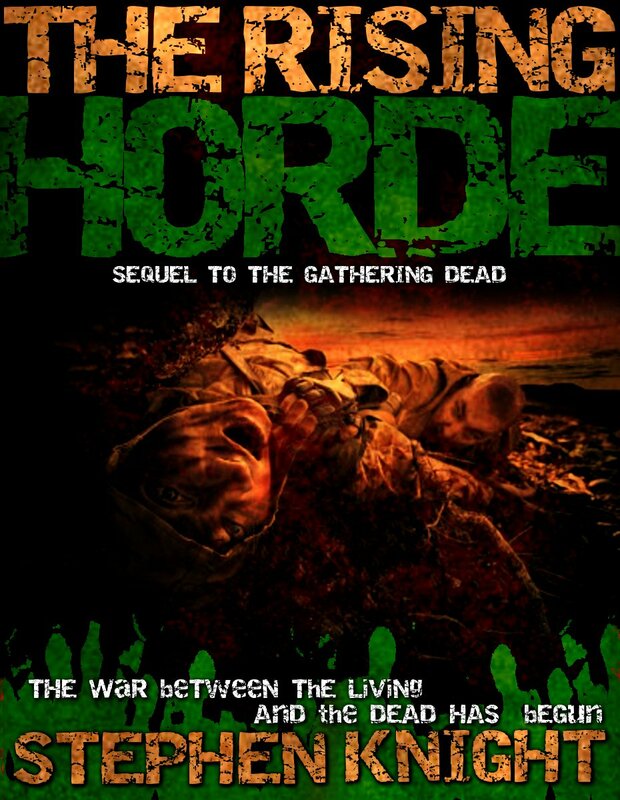 Well folks, it was a looooong time in coming, but The Rising Horde Volumes 1 and 2 should be available from your favorite e-tailer in the next couple of hours. I’ll update this post with the appropriate links when they become available. So, things continue to plow ahead on the project. I’d like to show you some concepts here that will go in the fundraising trailer. This is where the Black Hawk carrying McDaniels, Gartrell, the Safires, and the rest of the team from The Gathering Dead crashes in Manhattan’s Upper East Side. 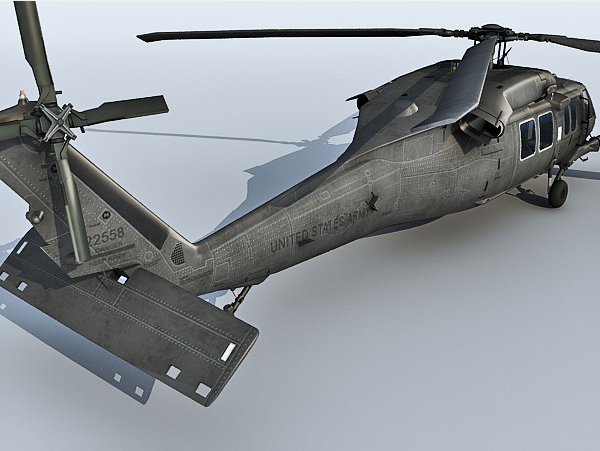 Boom goes the Black Hawk! Not terribly exciting to look at in this incarnation, I know. But this is how it almost always begins: a scene from a script is roughed out in a set of storyboards, usually in a shot-by-shot format. This specific board here actually incorporates three different shots in one, but conceptually, I think it’s easy to get what’s going on: the MH-60M is crashing in NYC. Now, the sequence has to be rendered for animatics, which will be the first generation CGI effects pass. Obviously, the board above doesn’t look very realistic at all. So what has to happen is that actual images of NYC have to be captured and mapped out. This is thankfully easy to do, since New York actually exists–it’s not an alien city or anything like that, so there are tons of photographs out there to use in mocking up the animatic. (And if need be, I can always take the 4 or 5 trains uptown and take pictures myself.) In this instance though, Our Friend Google Maps comes to the rescue. Above are two shots of the intersection of East 79th Street and Lexington Avenue, the location of the building the team takes shelter in. You can see no such structure exists; it will be built in CGI and then composited onto the scene. 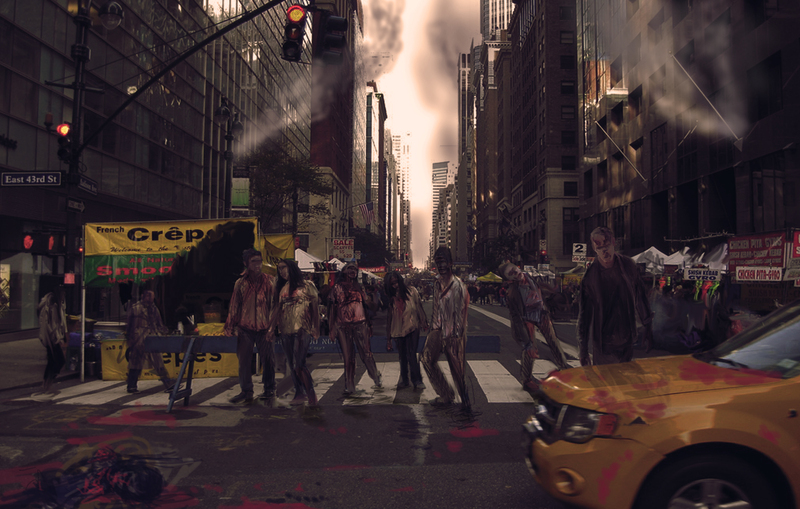 Additional effects will be added, such as wall-to-wall traffic, smoke, some flames, and yes…zombies. 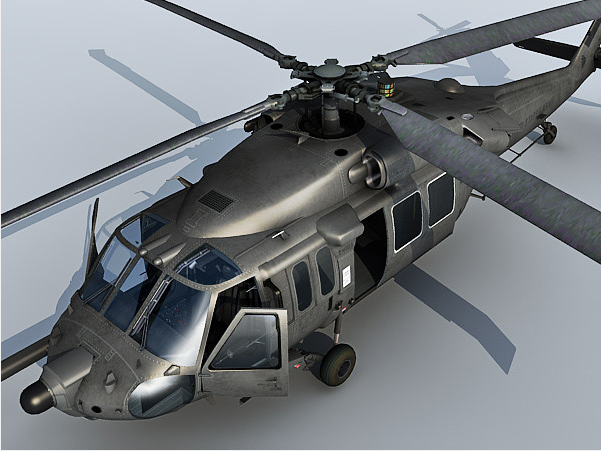 And in the middle of that, comes the stricken MH-60M Black Hawk. This model isn’t complete. The pilot doors will have to come off, the gunner doors will have to be opened, and so will the doors to the troop compartment–the 160th flies pretty much without doors on their aircraft in all weather, so those elements will be altered. But in the coming weeks, all of these elements will be brought together using Maya, Mental Ray, Blender, and 3DS Max to provide a fully-formed action element. 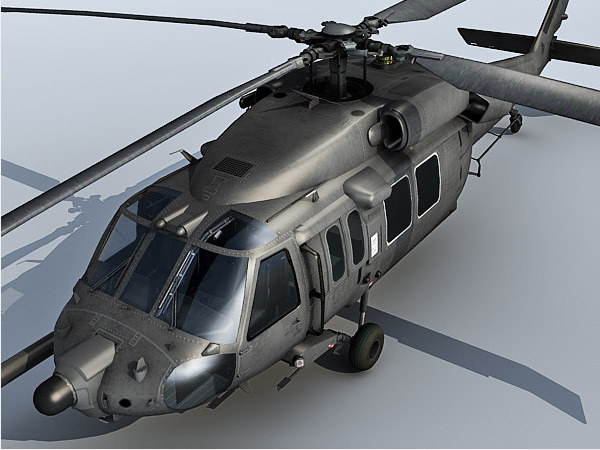 In other words, you’ll see what happens to a multimillion dollar special operations aviation aircraft after it’s been hit by a window diver. Add in some additional opticals, composites, music, sound effects, and voila! Ten seconds of a trailer is born. THE RISING HORDE Review at Bricks Of The Dead! You just have to love pre-release press coverage! The Rising Horde is reviewed over at Bricks Of The Dead! Five stenches out of five, baby! And notable comparisons to World War Z (which I’ve read) andDay By Day Armageddon (which I haven’t). Here’s to some more good press in the coming weeks! 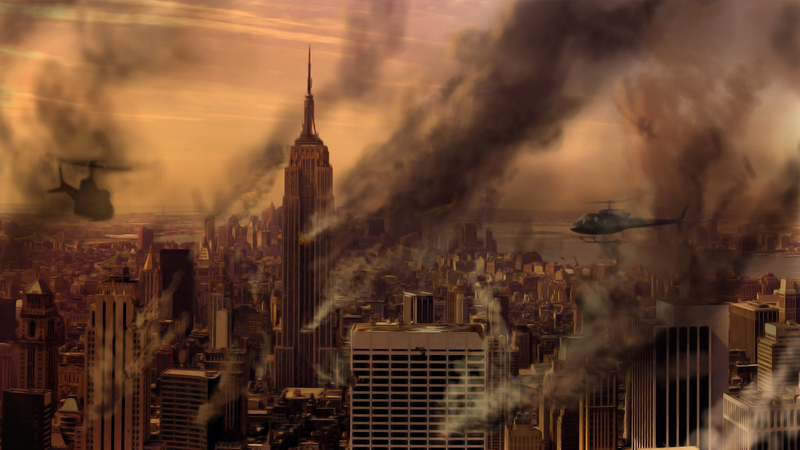 Another pre-visualization storyboard for The Gathering Dead film. Just a setup shot of stenches stumbling and bumbling through the Big Apple. Personally, I see this every morning on my way to work. Well, Jared Rackler has produced a pretty eye-popping and evocative draft cover for the second volume of The Rising Horde. Click on the image to the left and enjoy. And, better news–I received the edits from Lynn O’Dell, and things could have been a lot worse. She’s not usually the kind of editor to gush to her clients about how great their work is, but she gave me a high five for The Rising Horde, which was awfully nice. 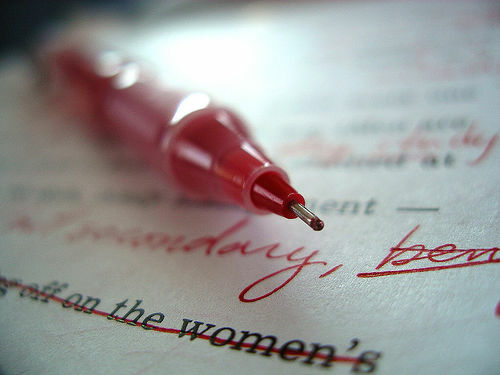 Now it’s up to me to cruise through the edits, make the requisite additions, deletions, and corrections, and fire it back for her to deliver to one of her proofreaders for a final review. I expect I’ll be done with my part today or tomorrow, so that’s easy. The final proof could take as long as three weeks, since the manuscript is still so damn long–Lynn was only able to remove about 9,000 words, brining the total word count down to 177,000+ (from its formerly robust 186,000+ words). So far, I’ve not found the reduction compromises the story in any way. Just the same, this ensures the product will be released as two books. I can’t reasonably deliver an 800+ page book to Lightning Source to print and distribute, since the costs would be quite high; no one is likely to be interested in paying $24.95 for a soft-cover book. And this way, I can effectively link the paper and electronic versions together, which helps ensure sales tallies are more accurately calculated, and that there’s a corresponding relationship between the two selections. All that said, the worst case release date for the ebooks will be May 15, 2012 with the paper editions coming out about a month later. But I do expect them to be released sooner. It all depends upon when the final proof is released to me. After that, I pull the trigger. Hope everyone is having a great day…we’re looking at temperatures in the 70s here in the New York City area. There’s some good stuff to talk about regarding my efforts to get The Gathering Dead into filmland, but…I can’t say anything yet. Which is annoying, but I don’t want to queer the deal. I just want to pass on to you guys that if you’re sufficiently motivated and don’t take no as a final answer, then you can get stuff done. There’s always someone willing to listen, and if you’re a persuasive guy–or if you know other folks who are even more persuasive–then stuff starts to happen. Today, I share with you one of the preliminary storyboards I’ve received. This is for the trailer that I’m putting together with some Rhythm & Hues folks, and while this is far from a locked version, I think it’s decent enough to show. This is what McDaniels, Gartrell, and the rest of OMEN Team get into on their way to rescue Safire and Regina. I’m told I’ll have animatics for this sequence in the next couple of weeks. Should be fun to see, if nothing else. Just a little nugget to pass on to the three of you who are waiting for The Rising Horde. The editor is still going over it, and it’s going to take at least another week for her to generate the first pass edits and send them my way. Then I have to review, make or ignore the required changes and/or rewrites, then send them back. She’ll do a final review, we’ll agree on a “final” version for the proofreader, and then off it goes through the final proofing process. That could take another three weeks, though I’m hopeful it won’t take that long. So, end game: the book (or books) probably aren’t going to be out until the end of April now, though the savvy gambler will bet long on May. More to come, and sorry the news isn’t more to everyone’s liking. But hey…I shouldn’t have written a 186,000+ word zombie apocalypse epic in the first place!